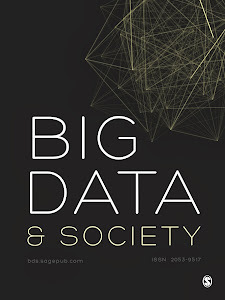 Demos are curated essays in which authors reflect on projects related to the concerns of Big Data & Society and is led by co-editors Paolo Ciuccarelli and Richard Rogers. A second has recently been published, Visual Geolocations: Repurposing online data to design alternative views, by Gabriele Colombo, Paolo Ciuccarelli and Michele Mauri. Their essay explores how researchers, designers, and artists have taken up heterogeneous, visual, and location based data. They examine how different visual manipulations and techniques have been deployed to repurpose data to add meaning and generate new perspectives. Three different approaches are described: the design of interfaces for exploring satellite footage in novel ways, the analysis of urban aesthetics through the visual manipulation of collections of user-generated contents, and the enrichment of geo-based datasets with the selection and rearrangement of web imagery.